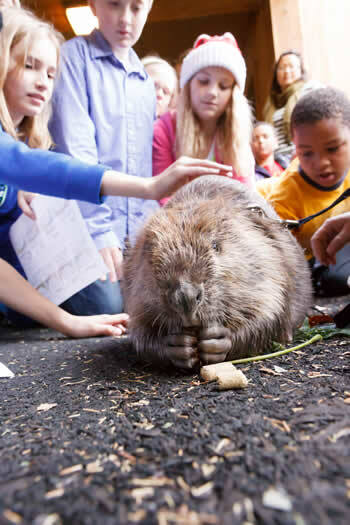 This program provides unique, engaging on-site animal experiences to zoo guests. Types of Close Encounters include special animal enrichment, providing guests with one-on-one opportunities to interact with zookeepers, animal training demonstrations, and a chance to observe and touch fascinating critters, including some that aren’t typically exhibited at the Zoo. Close Encounters occur every day, throughout the day, in all areas of the zoo. With a growing collection of animals and an average of six Close Encounters presentations daily, this program offers something for all of our guests.